Superior Alarm & Fire Equipment’s Video Monitoring solution lets you see what’s going on at your property, even when you’re not there. 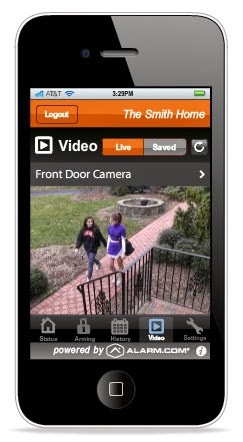 Now, you can see who’s pulling in the driveway, get a video alert when someone comes through the front door or just check in to see how your favorite pet is doing. Click here for to visit our Security page for more information on Video Monitoring and other interactive services, powered by Alarm.com.